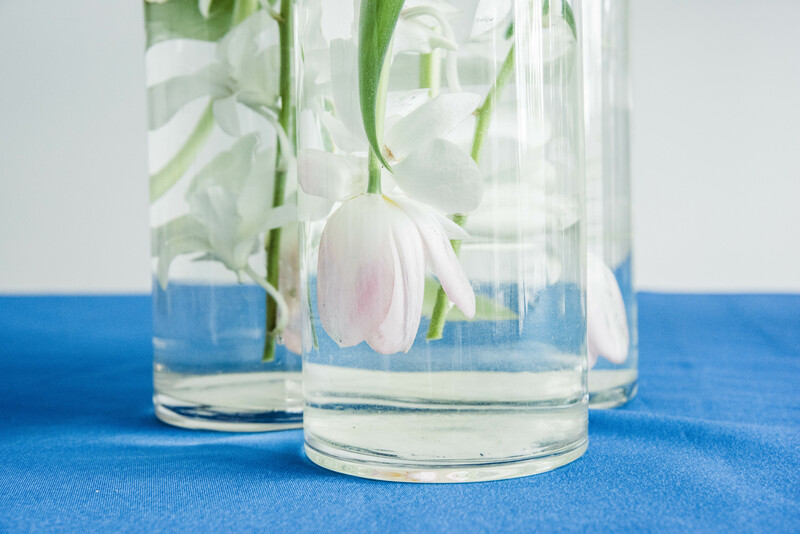 When it comes to picking out flowers, pick varieties that are more hearty and have full blooms. 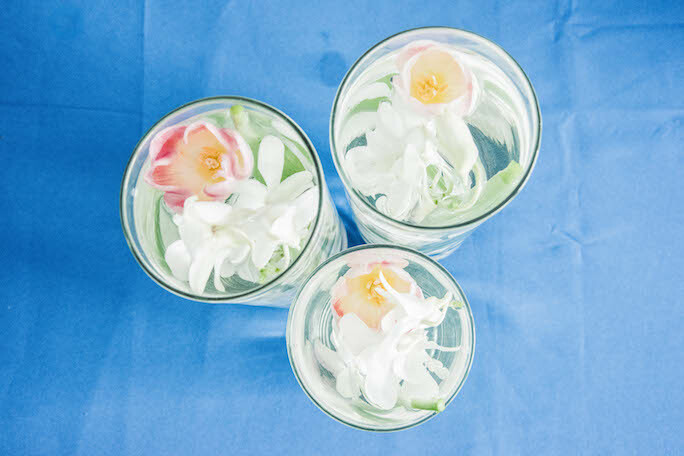 Most flowers can be submerged, but be careful not to pick flowers with thin petals. Orchids, tulips, roses, spider mums, gerber daisies, tropical protea, and calla lily’s are all great choices to use. 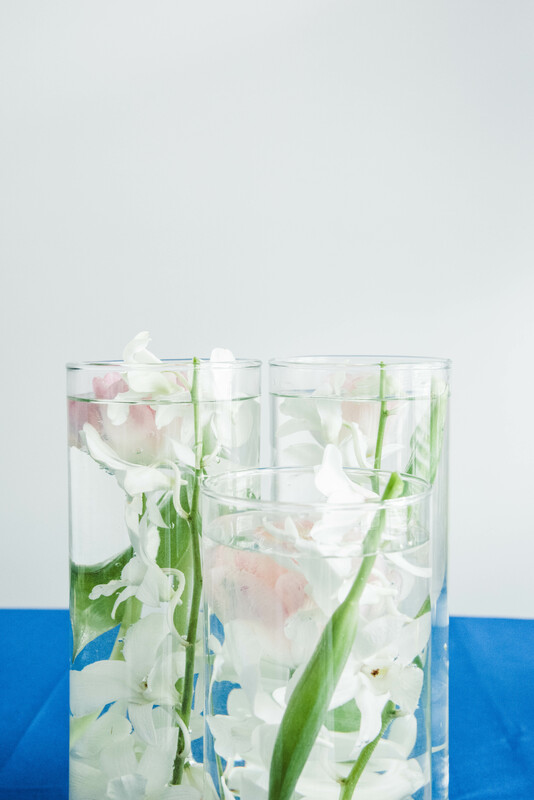 You can use vases that are all the same height or you can vary the heights to add some more dimension to your finished centerpiece. 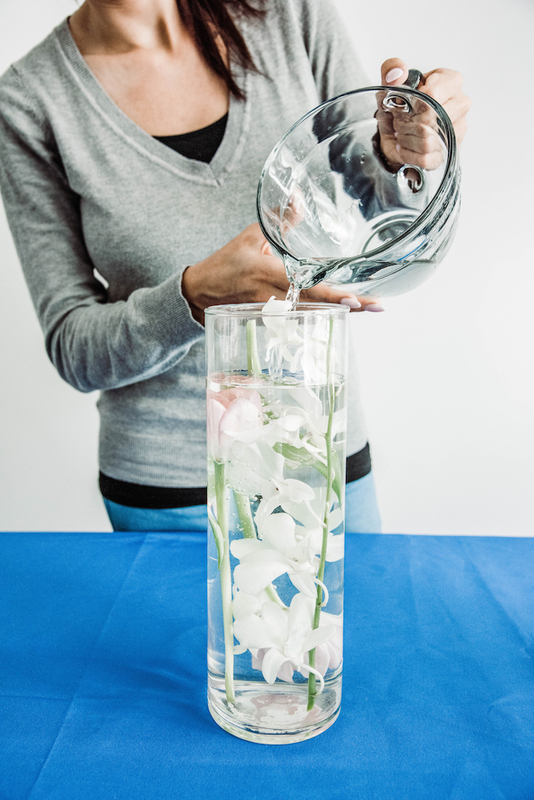 Begin by filling your vases up halfway with water. 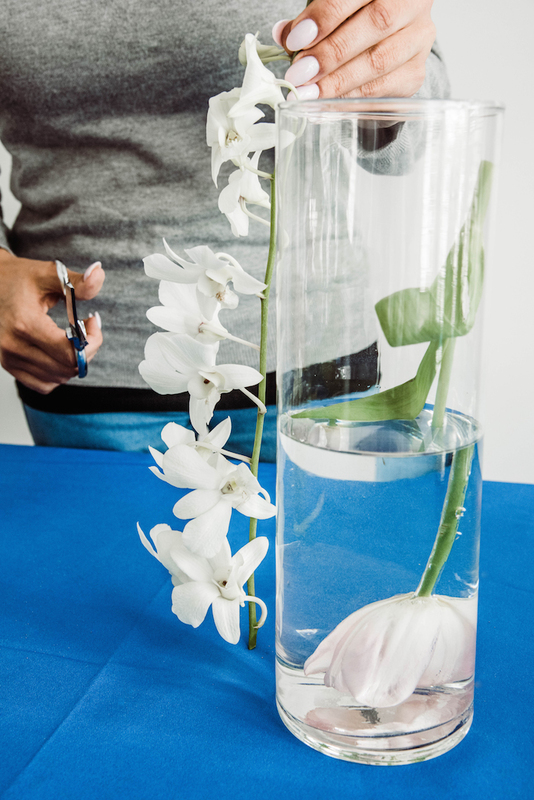 Insert your flowers into your vase. 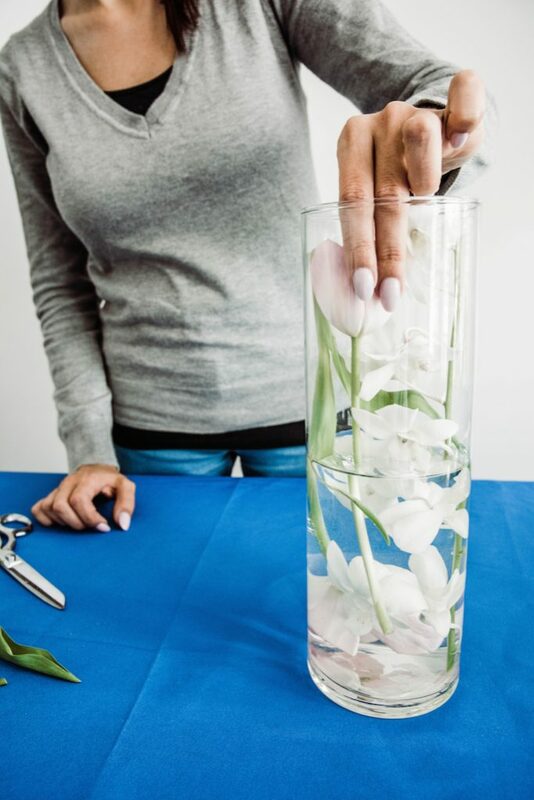 You can arrange them any way you want, including flipping them upside down, cutting them into smaller clusters, or inserting them upright. 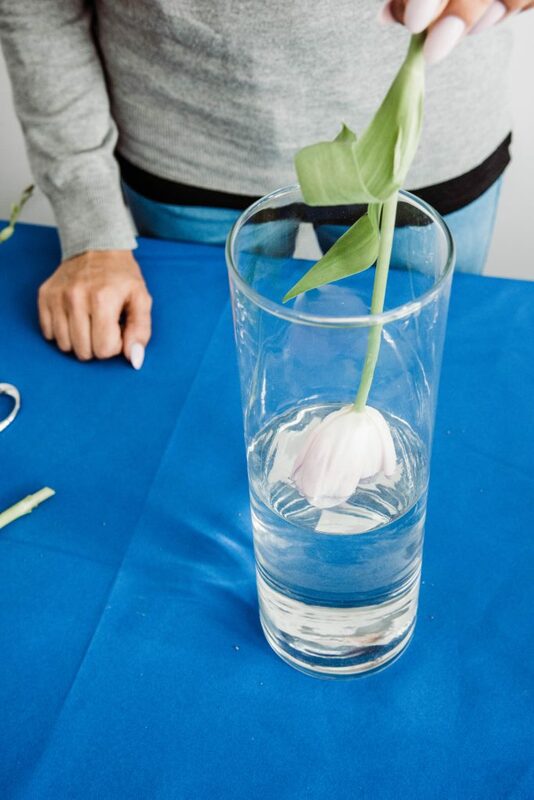 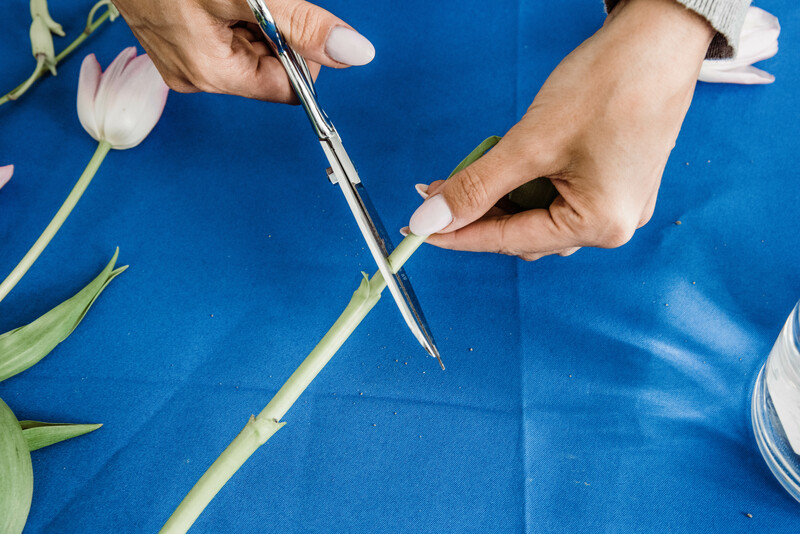 Measure the length of your stems against your vase before cutting to ensure you have the right size stem. 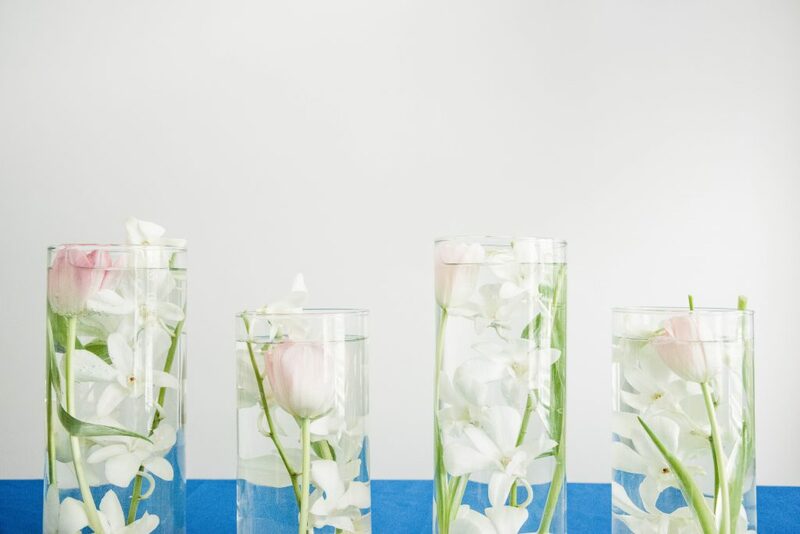 Add additional stems into each vase until you’ve achieved the look you want. 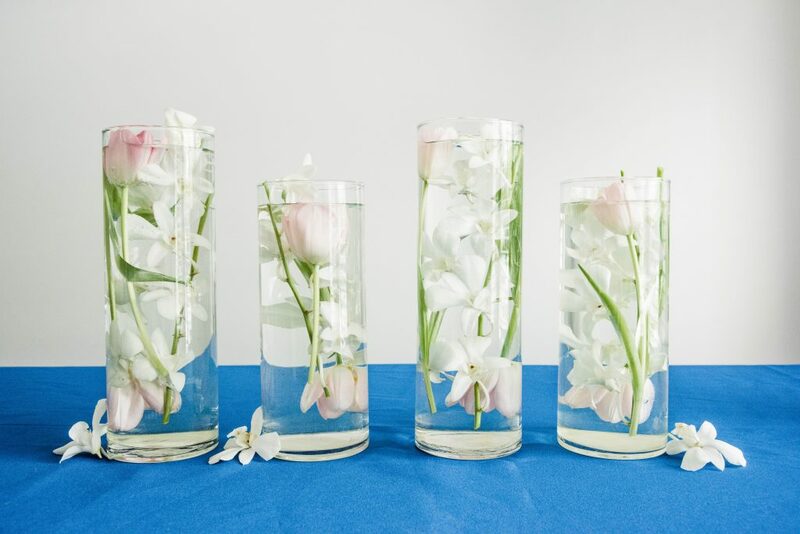 You can mix and match different flowers in each one or keep them all consistent in separate vases. 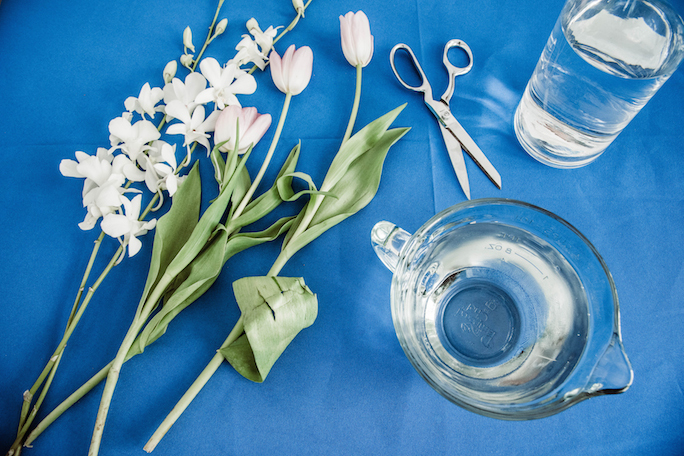 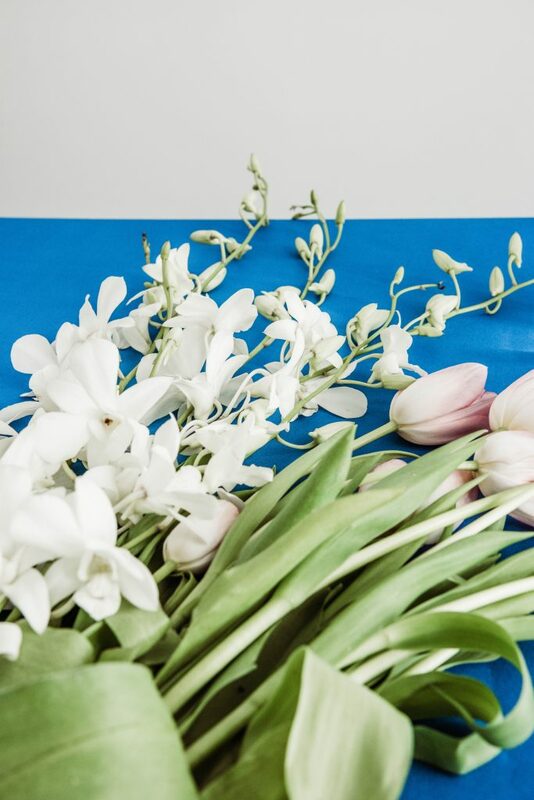 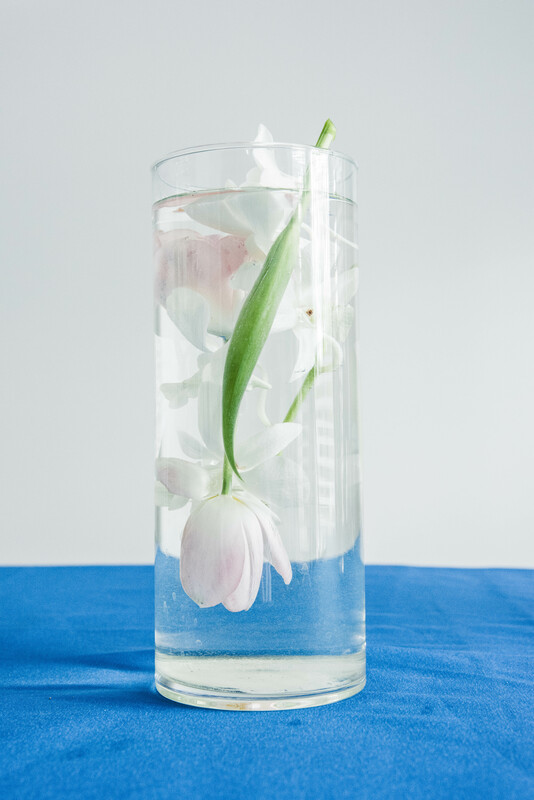 After all of your stems are arranged, fill the rest of your vase with the remaining water. 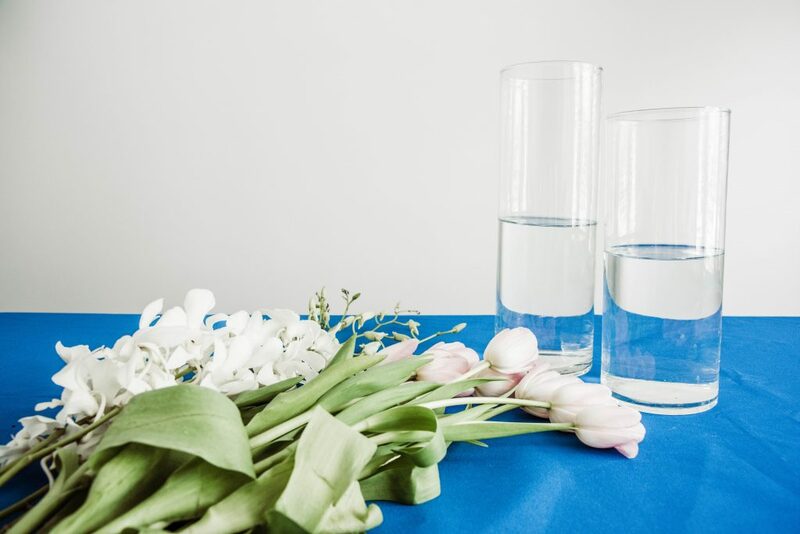 (If your centerpieces need to sit for more than a day, make sure to use distilled water).